Lesbian? Gay? Bisexual? 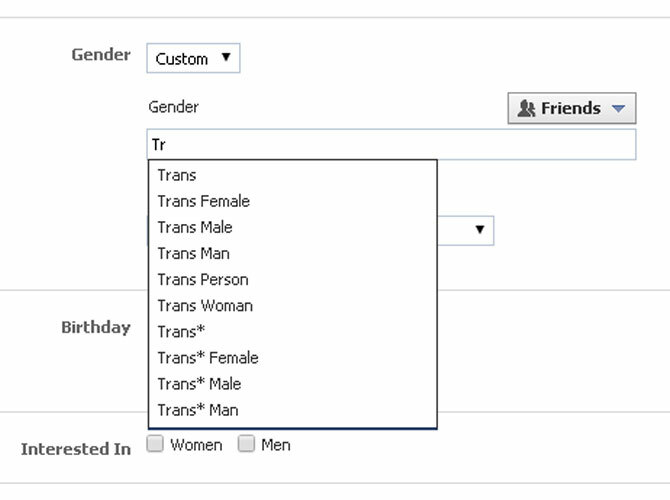 Now You Can Customize Your Gender on Facebook! Facebook wants you to be, well, you! No matter what your gender is, Facebook has it covered. The social network launched a new custom gender option to help you better express your own identity. 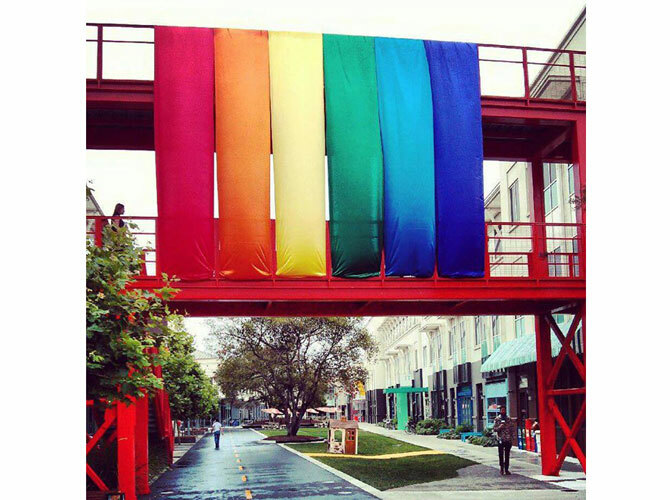 An announcement on its Facebook Diversity page states, "We collaborated with our Network of Support, a group of leading LGBT advocacy organizations, to offer an extensive list of gender identities that many people use to describe themselves. Moreover, people who select a custom gender will now have the ability to choose the pronoun they’d like to be referred to publicly—male (he/his), female (she/her) or neutral (they/their)." "We also have added the ability for people to control the audience with whom they want to share their custom gender. We recognize that some people face challenges sharing their true gender identity with others, and this setting gives people the ability to express themselves in an authentic way." The new custom gender option is available to everyone who uses Facebook in U.S. English. To learn more, click here!